Q. You have just opened a data center in India. What is the total investment in the data center? We have established a datacenter in Mumbai and are excited for our journey ahead. India is a key market in Alibaba Cloud’s globalization strategy, and we see tremendous opportunity to help local enterprises grow and scale. As a policy, we cannot disclose investment data. 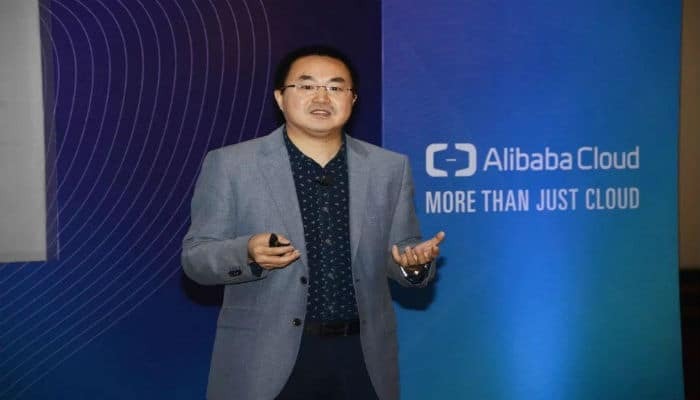 We see the Indian market as a natural progression of our strategy to expand Alibaba Cloud’s global footprint, and believe that it offers tremendous opportunities for expansion of our ecosystem. We will continue to invest to build and develop the cloud ecosystem in India. Q. What are the services you offer to your clients? We offer a comprehensive suite of cloud computing and data intelligence offerings – elastic computing, database, storage and CDN, networking, analytics and big data, containers, middleware, and security. We also hope to bring “ET Brain” to India, our proprietary Artificial Intelligence (AI) program that aims to tackle real-world challenges and unleash their development potential. Today ET City Brain, ET Industrial Brain, ET Medical Brain, ET Environment Brain, ET Sports Brain and ET Aviation Brain offer an array of services for our clients across the world. We won’t be able to go into details about our customers but we are already providing services to a number of Indian companies across different sectors, through our data centers around the world. The establishment of the data center in India will allow us to better service these existing customers, as well as enable us to offer localized services to address the increasing market demand from enterprises, internet and e-commerce companies, SMEs, Independent Software Vendors (ISVs). Q. Data security is critical. How do you plan to address data security and protection? We take data security and privacy very seriously, and our priority has always been to ensure the highest cyber protection and compliance standards for our customers. We comply with all applicable laws in every market we operate in. Our security standards have been recognized by a number of international organizations. For example, Alibaba Cloud is the world’s first cloud provider to complete the assessment for the Cloud Computing Compliance Controls Catalogue (C5) set out by the Federal Office for Information Security in Germany with the additional requirements. The British Standards Institute (BSI) awarded Alibaba Cloud the world’s first gold certification for cloud security. We have also achieved the Singapore Multi-Tier Cloud Security (MTCS) standard Level 3 and the Payment Card Industry Data Security Standard (PCI-DSS). Q. How do you see the evolution of Datacenters to what it is today- how has it changed the IT infrastructure market? The Fourth Industrial Revolution is driven by technology and data. With increased digitization, data is assuming a more critical role. Constant digital disruption has changed the way people generate, use and consume data – this impacts IT infrastructure. The data center itself has evolved, given the pace at which technology is disrupting the business environment; and it will continue to be in a state of constant transition in order to keep meeting changing business requirements –size, increased efficiency, optimization, and economical operations. And therefore, it is important for us to constantly study the changing market dynamics and reinvent ourselves to stay relevant. Q. From a market perspective, what is your assessment of the India market- how is the market classified and what are the key growth drivers? The Indian economy is growing strongly – driven by digitization, internet and mobile penetration, and a favorable business environment. A growing population that is always connected and generating data requires secure, scalable and stable infrastructure, and this throws up a great opportunity for us. India is on a journey to transform into a digital economy, which throws up tremendous opportunities for enterprises and SMEs to grow and become part of the global business environment. Our data center in Mumbai will cater to all companies looking for support in India. Specifically, the data center will cater to India and regional customers in the Indian Peninsula. It is a mega scale data center that could support the regional cloud needs for the next 3-5 years. We Offer a Comprehensive Suite of Cloud Computing and Data Intelligence Offerings: Alibaba Cloud 0 out of 5 based on 0 ratings. 0 user reviews.